ISPAH 2018 in London was a great conference showcasing a huge diversity of research into physical activity, including many digital interventions and digital research methods. I’d need tens of thousands of words to blog about all of these, so I’ll just focus on a few of the presentations which I found particularly interesting. There were a few talks around citizen science and co-production of interventions, which seems to me to be a future direction for behaviour change in physical activity. There was a lot of discussion of social inequality at this conference, and the discourse around social inequality was that instead of imposing interventions on people (which might actually increase inequalities), researchers should instead co-create interventions with the population themselves. One interesting talk around this idea which I attended was by Dr Anja Frei and focused on citizen science and technology for increasing physical activity in older adults in Switzerland. This was a multi-layered approach using technology at several different levels. At the individual level, participants came up with step targets and used mobile phones to track these. At the group level, WhatsApp groups, Google calendars and kick-off meetings were set up to enable participants to come together to organise walks. And in the local environmental context, a series of walking routes was set up for people to follow. This was a small study, but the idea of using multiple technologies and for participants themselves to be so involved in the intervention was fascinating. In addition, the purpose of the study was for participants to self-sustain the group walking once the university researchers were no longer involved, which is surely a key aim for all researchers! I’m not sure how well this approach would work in another culture, but it showed the potential for participants co-designing an intervention and of the use of technological tools which already exist and are popular, free and relatively simple to use. Another very interesting talk related to digital behaviour change was by Thabo Van Woudenberg from the Netherlands. He’s working on a bigger project called My Movez, however this talk was specifically on a randomised control trial examining a social network vlog intervention for adolescents. The adolescents produced vlogs after training by some well-known Dutch vloggers, with ‘peer influencers’ making the vlogs to encourage more physical activity in their peers. Sadly, the results weren’t very impressive, and Thabo discussed some of the reasons why this might be and the possibilities for future research using vlogs. Personally, I found it a fascinating idea, having a teenage son who absorbs pretty much everything via Youtube! Finally, I’ll discuss an e-poster I had at the conference on some research I did on the Couch to 5k podcast programmes and an alternative podcast I made based on my research findings with beginner runners (Walk Jog Smile). There’s very little evidence for the effectiveness of Couch to 5K (a podcast designed to help people walk/run over 9 weeks to a total of 30 minutes of continuous running), yet it’s very popular and has been downloaded millions of times. I conducted an online diary study using a run-tracking app (Strava) to follow participants’ progress and to ask for detailed feedback on both the Couch to 5K and the Walk Jog Smile podcasts. It was a lot of work to write the script, find suitable music, record and produce a podcast (thank you so much to Nigel Woodger, the university technician for all his help) but participants found it easy to download and use on their phones when out running and gave lots of useful feedback. It’s also a very accessible way for people to start running or return to running, as all people need is a phone and some headphones (and some running shoes too, obviously!). I have a lot more results to come from this study, but basically both podcasts were enjoyed by participants, and I think there’s a lot of potential for future research into running and how to help beginner runners, given the current running boom and the huge popularity of parkrun (a global, free 5km weekly run). I would love to continue this research with a much bigger study to see how successful people are in the longer term with both Couch to 5k and Walk Jog Smile programmes. If you can help in any way or would be interested in collaborating on this, do please get in touch. In conclusion, there was stacks of research presented at ISPAH which used digital technology in some way, either as part of the intervention or in the research methods, or both, in many different populations. There was a debate on the public health guidelines for physical activity, and the point was made that people should be given step count guidance as well as time-based. Prof Nanette Mutrie argued that people are already using step count technology easily accessible on their phones or on wrist-worn devices, and that we should meet people with the technology that they are already using. I couldn’t agree more. There are plenty of pitfalls in using pre-existing digital technology in interventions, but if people are already using this technology then it seems like a huge opportunity for behaviour change. For example, people using physical activity technology are showing their desire for physical activity behaviour change, which seems like a fantastic starting place! You can follow tweets from ISPAH 2018 at #ISPAH2018 and find the full programme here. Is it actually an ‘intervention’ if the participants themselves design it? Or do we need a new word?! How transferable are digital interventions beyond the context and culture they are designed for/in? How can we better understand the potential of technology for different age groups? How can we harness pre-existing, popular and widely-used technology for behaviour change, whilst taking any perils and pitfalls into account? Katy Kennedy (@katyleighk) is a psychology PhD candidate at the University of Surrey. 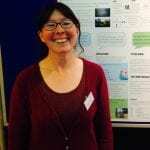 Her research looks at how people feel during exercise and how we can help people feel better. She is particularly interested in beginner runners and in self-initiated physical activity behaviour change, such as people using Couch to 5k programmes and making New Year’s resolutions to become more active. 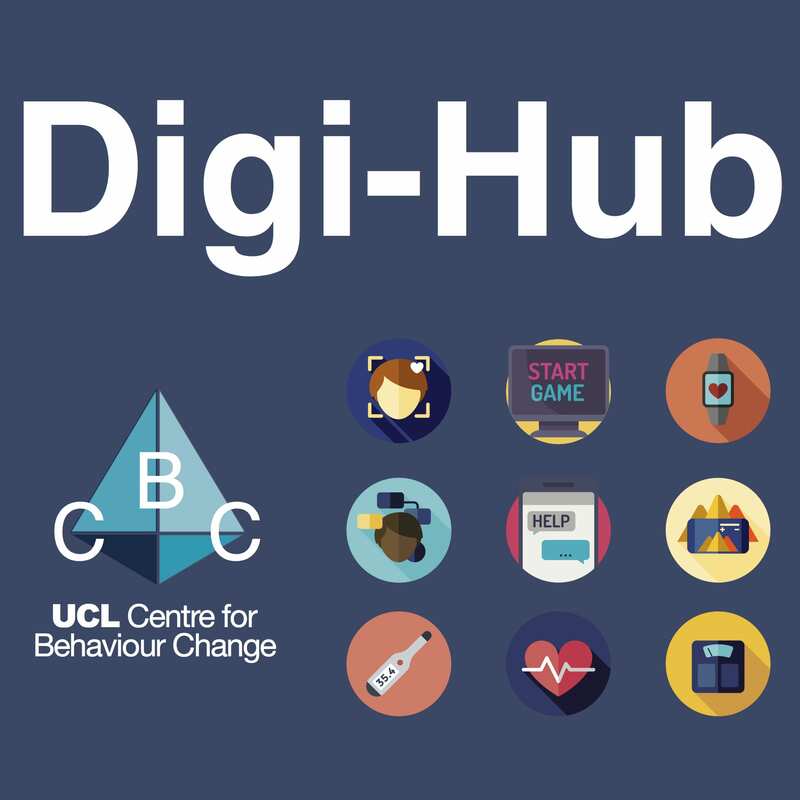 The Digi-Hub is connecting professionals interested in digital health and behaviour change through an online hub network. The Digi-Hub has links to the latest research, listing of digital health events, a bi-monthly blog, and provides a forum for members to seek project collaboration opportunities. How will the field of digital health evolve in the next 5 years? Improving care for non-communicable diseases: There’s an App for That! Cardiovascular disease, a behaviour change technology-based intervention and treatment fidelity, what are the challenges? Smartphone apps for managing hypertension: what do patients and providers want? Social comparison opportunities in digital health interventions: Are we using theory and evidence effectively? Developing the behavior change intervention in participation with users: Can it be too much? A spoonful of sugar? What do Games for Health have to offer the field of Digital Behaviour Change? Is it time to update public health guidelines to include evidence about digital behaviour change interventions? Effective engagement: what do ‘engagement metrics’ actually mean for behaviour change? Beyond self-monitoring technologies: actionable information? Is exposure to online content depicting risky behaviour related to viewers’ own risky behaviour offline? Is “brain hacking” right for behavioral medicine? Will Artificial Intelligence (AI) improve the effectiveness of behaviour change interventions? Digital weight management aids- we need guidance, not more apps. Digital Health or Digital Hell? Can digital interventions change behaviours? What makes digital data valuable? Reaching the unreachable, convincing the inconvincible – Babies Know the Facts About Folic. What did you want the Digi-hub to provide? Survey results are in. Welcome to the digital health and behaviour change network! Welcome to the CBC Digi-Hub Blog!